"Where the Good Guys Are"
Minivans are essentially superheroes in disguise. By day, they're mild-mannered companions on all your everyday adventures. Cavernous cargo capacities and spacious passenger accommodations make them ideal for transporting the whole team and their gear, too. By night, they're powerful people-movers on the lookout for adventure! Sleek good looks and zippy engines help you experience everything Alberta has to offer in style. 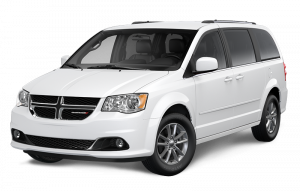 If you're looking for minivans for sale in Medicine Hat, stop by and see us at City Chrysler today! Minivans are among the most capable and versatile vehicles on the road today. In fact, they could even be called "mightyvans!" 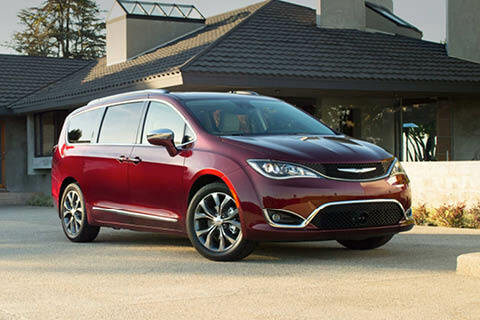 Whether you're looking for the sleek and modern Chrysler Pacifica, or Canada's best-selling minivan for over 33 years, the Dodge Grand Caravan, City Chrysler has got you covered. To elevate your everyday and put the "whoa" back into your morning commute, choose a minivan for your next vehicle purchase. 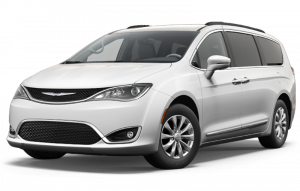 City Chrysler is proud to be the premier dealer of minivans for sale in Medicine Hat. You can find us at 982 Redcliff Drive SW in Medicine Hat, AB, or call us at 403-526-6944. Our family has been serving yours in Medicine Hat for many years! Know exactly what you're paying for so you can stay in your budget. If you leave a review after purchasing a vehicle, your next oil change is on us. At City Chrysler, we believe that having the power of choice is a wonderful thing! We're proud to offer a superior selection of new and "well-travelled" minivans. Our friendly and professional sales team will go through your list of must-haves, and match you with a minivan that's perfectly suited to all of your adventures. Call, click, or stop by today! Nobody likes playing hide and seek with their money. That's why, at City Chrysler, we prefer to do business a different way. Our straightforward and upfront pricing means that there's no hidden fees. We help you avoid unpleasant surprises, and make it easy for you to choose the right minivan for your budget. Stop by, and discover how we bring the phrase "honesty is the best policy" to life! Leave a Review, Get a Reward! At City Chrysler, we like it when people say nice things about us, and we've found a way to thank you! No, it's not flowers and chocolate for life (although that would be nice). If you take the time to leave us a review after your next vehicle purchase, your next oil change is on us! It's just our way of saying thanks to all of our loyal customers. Building strong communities helps create a better and brighter future for everyone! At City Chrysler, we're proud to give back to the wonderful community that's helped shape us into a thriving and vibrant business. That's why we contribute to local organizations all across the community through our City Chrysler Gives Back program. If you'd like to be part of this amazing program, let us know! We're always glad to give back. City Chrysler in Medicine Hat, AB has been serving the community and surrounding areas for many years. We know that you have high expectations and it's our goal to exceed them when you're looking for a new or used vehicle with us. We take care of our customers, with no hidden sales fees so you know what you're getting and what you're paying for up front to keep you on budget. 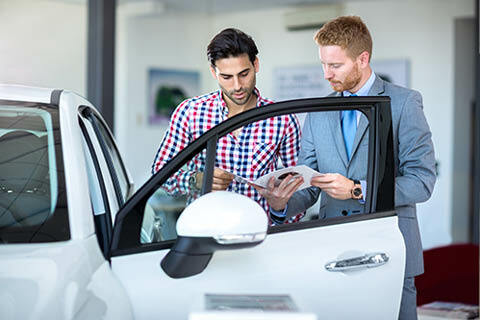 Our friendly sales staff is eager to share their knowledge and love of vehicles with you when they help you find the new or used vehicle that meets your needs. If you purchase a vehicle from us, leave us a review and your next oil change is free. It's our way of saying thanks for choosing City Chrysler as your dealership. Visit us today at 982 Redcliff Drive SW, Medicine Hat, AB or give us a call at 403-526-6944. Best experience I've ever had buying a vehicle! Staff was very welcoming and easy to work with. Salesman made sure everything I wanted was looked after and treated us more like family than customers. I would highly recommend talking to Lorne or Barry, they will get you your perfect vehicle and you'll even have some fun along the way. Was an overall great experience. Everyone from management, sales, service and finance were all extremely polite and professional. It was refreshing to actually have a car dealership work with me to help me get my vehicle! Couldn't be happier. I've been involved in the automotive industry in southern Alberta for 20 years and the staff at City Chrysler in Medicine Hat are true professionals when dealing with customers with a transparent attitude! The phrase customers come first is used much too easily these days in the industry but the staff at City truly commit to it!